State officials in Texas can hold off on election preparations, a federal court said Thursday, but with Texas' political maps still in limbo, they also didn't get a new set of deadlines to help them get ready for the 2012 elections. Election officials in Texas don't have to meet a Saturday deadline for getting their ballots and precinct lines in order, a federal court said Thursday. But with the state's political maps still in limbo, they also didn't get a new set of deadlines to help them get ready for the 2012 elections. The orders, which came from a three-judge panel in San Antonio, put on hold some deadlines in the Texas Election Code because some Texas redistricting plans have yet to get preclearance as required by the federal Voting Rights Act. One order refers to redistricting plans for the state House of Representatives and congressional delegation. The other order, which involves a smaller group of plaintiffs, including state Sen. Wendy Davis, D-Fort Worth, refers to plans for the state Senate. State Board of Education maps have already been precleared by a federal panel in Washington, D.C.
"According to the Texas Election Code, any changes that must be made in the county election precinct boundaries 'to give effect to a redistricting plan' must be finalized by October 1, 2011," the judges wrote. "Because the redistricting plans have not been precleared … all persons or entities that would otherwise have a duty under Section 42.032 of the Texas Election Code are relieved of those duties until further order of the Court." The orders similarly relieved county election officials of their duty to issue voter-registration certificates because "county election precinct boundaries will not be finalized." The ruling wasn't unexpected, given the deadlines in the law and the status of the judicial review of the maps. The San Antonio panel has heard testimony but hasn't ruled on the legality of the maps. The D.C. panel, asked by the state to handle preclearance of the maps, won't hold hearings for a month. Rich Parsons, a spokesman for Texas Secretary of State Hope Andrade, said the office is letting county officials know about the orders and about what's going on, but said the ruling doesn't change much. Democrats and their lawyers have blamed Attorney General Greg Abbott for going to the courts for preclearance instead of to the U.S. Department of Justice, which they contend would have been faster. Republicans blame Democrats for the delay. "Bottom line — the lawsuits by liberal organizations and Democrat officials now portends many long hours and logistical difficulties for county elections offices," said Texas Republican Party spokesman Chris Elam in an email. A spokesperson for the Texas Democratic Party declined to comment. Abbott's staff, like the secretary of state's, said the ruling was no surprise. 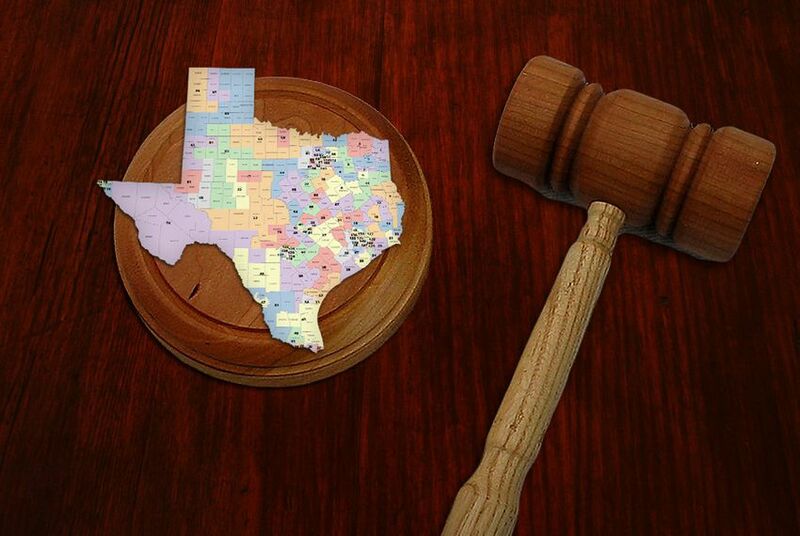 "The Court's ruling merely restates what the law already provides — that Texas cannot implement its new district maps until they have been precleared — which is why the State did not oppose the plaintiffs' motion," said spokeswoman Lauren Bean in an email. "For the plaintiffs to somehow applaud this ruling as a win is like claiming victory at the end of the first quarter of a scoreless football game."